When it comes to printing on poly bags and other flexible poly films, you need thermal ribbon which is perfectly formulated to print on these films. Advanced Poly's Thermal Transfer ribbon is specifically formulated to print on this film and we should know because we extruder the film! Our ribbon is top of the line with no smudging. There is a wide variety of colors available and we may have stock of various colors. Otherwise, many colors are available by special order. Let us provide your business with ribbon specially designed to function not only on your printer, but also on your poly bags. Also, if you having print issues, please don’t hesitate to contact our Service/Support personnel who are anxious to assist you to obtain the best quality print that your customers demand. Thermal Ribbon, 5.12" x 1476' Black (ZEB) 12 Rolls per case Note: Price is per roll. Thermal Ribbon, 4.33" x 1476' Black (ZEB-PP) 24 Rolls per case Note: Price is per roll. This ribbon is for APPI Printer models: T-375, Ti-1000Z, RAP-1400 This is for Polypropylene Bags Note: Price is per roll. Thermal Ribbon, 4.33" x 1,476' Black (ZEB) 24 Rolls per case Note: Price is per roll. Thermal Ribbon, 4.09" x 1476' Black (ZEB-CL) 24 Rolls per case Note: Price is per roll. Thermal Ribbon, 4" x 1476' Black (ZEB-PP) 24 Rolls per case Note: Price is per roll. This ribbon is for APPI Printer models: T-375, Ti-1000Z, RAP-1400 Note: Price is per roll. 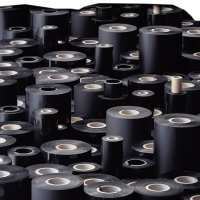 Thermal Ribbon, 3" x 1476' Black (ZEB) 24 Rolls per case Note: Price is per roll. Thermal Ribbon 4.17" x 2002' Black (APS) 24 Rolls per case Note: Price is per roll. Thermal Ribbon 4.00" x 2002' Black (APS) 24 Rolls per case Note: Price is per roll. Thermal Ribbon 4.17" x 1641' White (TEC) 12 Rolls per case Note: Price is per roll.